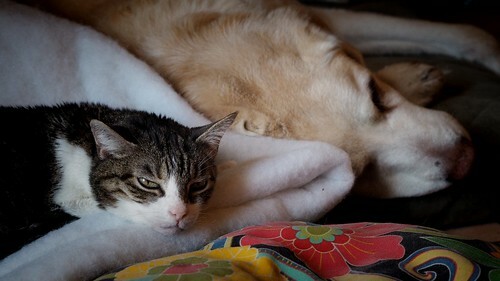 I can’t think of 2015 without thinking of the two little characters who left this year, Lucie my cat and Max my Lab. I still haven’t written my final farewell entry for Max because there’s so much packed into his 15 year lifespan with us that I don’t know where to start. Trying to write all that down is further complicated by the fact that his passing is still quite painful six months on. Lucie’s passing was equally painful and shocking, but her life with us at seven years was “only” half as long. I follow science fiction author John Scalzi’s blog Whatever. In one particularly short but poignant entry (for me) written yesterday, he summed up the entry with the sentiment “that pets come and go and you love them while you have them.” There’s nothing truer than that. He lost two cats this year, and then filled their void with a pair of kittens, or scamperbeasts. I’m about to do something similar. Life goes on. Everyone and everything that leaves through death’s door makes room for the newly born, the next generations. Tomorrow I travel up to see my oldest daughter in Gainesville and take responsibility for a pair of ginger male kittens (seen rolling around above), who I’ve taken to calling Greebo Og (left) and Ponder Stibbons (right). If you’re a Discworld fan then those names should ring some bells. I thus start 2016 with two new little lives. They are but two out of a litter of five. 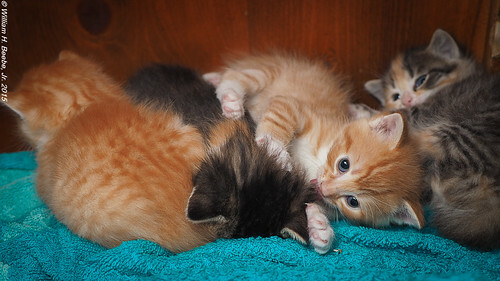 The other three are calico females; all the females have been placed. I look forward to traveling up tomorrow to visit and then to return with two new lives. I’ve never had kittens come to live with me before, so this should be interesting. Before you ask, they make a trip to the vets next Wednesday to be neutered. This was taken at the Tama Zoological Park, just outside the main building of the Insectarium. I thought these two were interesting the moment I saw them. But they also triggered the memory of a short science fiction story I’d read decades ago, about a lone man, a lone woman, and their lives together in the aftermath of a nuclear war in New York City. The story started about the man finding the woman, and progressed about the two of them slowly growing closer. As their story was being told, there was the back story of odd happenings in the city. 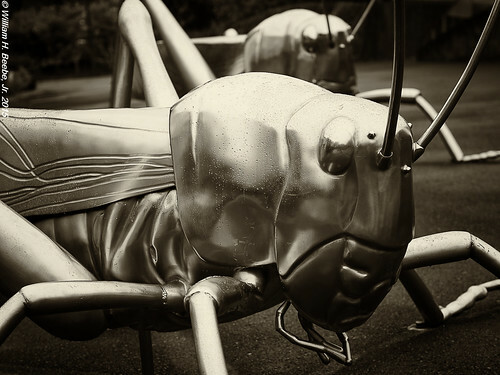 The story ends when one day, after hearing strange noises coming from Central Park, the two find that the Alice in Wonderland statues have been re-carved into insect forms. It’s at this point the two realize their end may be a lot closer than they realize. I don’t remember the story’s name nor the author, only that I read it sometime back in the 1970s. It had come as part of an anthology from the Science Fiction Bookclub. Or at least I think it did. I may be mis-remembering all of this.